Download MIUI 9.5 Global Stable ROM for Xiaomi Redmi Note 5 Pro. HomeHow ToCustom RomsDownload MIUI 9.5 Global Stable ROM for Xiaomi Redmi Note 5 Pro. Finally the most anticipated official MIUI 9.5 Global Stable ROM has arrived for the most famous and most sold Xiaomi Redmi Note 5 Pro smartphone. So now all the Note 5 Pro users can get the official version of the ROM. No need to go for the beta or Nightly build ROMs any more. We have come up with the complete guide to let you get this downloaded and installed on your devices. The official Global ROM is different to what Xiaomi India released previously. That was jut a re-branded version of the Chinese ROM. 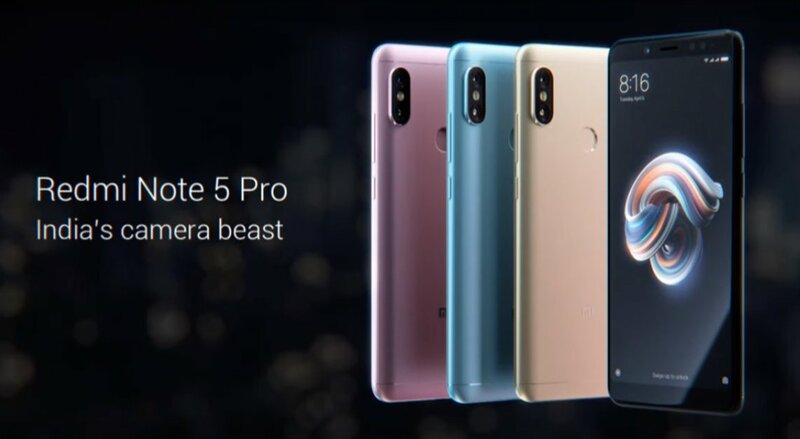 The newer model of the Xiaomi Redmi Note 5 Pro has some of the best upgraded specs sheet as compared to the older Chinese version. This newer MIUI 9.5 Global ROM comes with all previous Bug Fixes, Faster Camera enabling feature, New quick search option and many more new features added. Xiaomi says the new update will help provide information in the notification shade in a more “concise and comprehensive” way. The shade now groups all important on a by-app basis, ultimately reducing clutter from the notification bar. The updated notification now also allows you to quickly reply to messages, without opening the application. Xiaomi has updated Mi Browser with revamped start page and optimised performance. The update also includes “quick search options, adjusted the position of the search bar, optimized browser’s kernel, preset keywords for searching sites via urls quickly and redesigned menu tab. With the new update, you can now choose app lock from three choices, be it a pattern, alphanumeric password or a numeric PIN. Open security app – app lock, go to settings – change password and choose your desired password protection type. “With the recent updates, we introduced one more feature for our full-screen display device – MIX 2, it’s called Full-Screen Gestures. Full-screen gestures helps you eliminate the on-screen navigation keys and replace it with gestures instead, completely,” Xiaomi says on its forum. Some new gestures include swipe up from the bottom quickly to go back to Home screen, slide up from the bottom and wait to switch to Recent tabs, and slide from left or right to go back to last page. First of all you will need the official MIUI 9.5 ROM files. You can get it from the given links below. Once the download completes, Simply copy and paste the *.zip file into the internal storage. Now tap on the updater app on your device. Tap on the three dot on Top Left corner. This will show the menu, Select the Update Package option. Now You will see the official File Manager opened up. Just scroll down and select the recently downloaded .Zip file from the home directory. The updater app now will automatically flash the MIUI 9.5 ROM on your device. Your device may reboot a couple of times during the process. Once completed, your phone will reboot again and that’s it. You have successfully updated the MIUI 9.5 Global ROM on your Xiamoi Redmi Note 5 PRO smartphone.